Page 1- Interview with Francesc Tarres + meet Pol and Jordi's father at home. Retrotrials.com was lucky enough to secure an exclusive interview with Fransesc Tarres at his home in Rellinars. - This feature also includes hundreds of exclusive photographs, from the Tarres family private albums, never seen before. - Meet Fransesc's wife , Jordi and Fransesc's father Joan. - Look around the house and garage, Retro trials clothing and much more. The people of the region of Catalan, in Spain are wonderful people. I have been travelling down there from the UK for a few years and their kindness never ceases to surprise me. They have the perfect country for developing trials riding superstars. Although the UK factories and trials riders back in the 60's didn't see Spain on the radar, its clear to see now, how Spain now dominates the sport. The climate positively encourages riding. The open countryside has space to carry out the sport. The entrepreneurial business spirit and high skill labour has all played a part. These are just some of the reasons why I love Spain and Catalan. 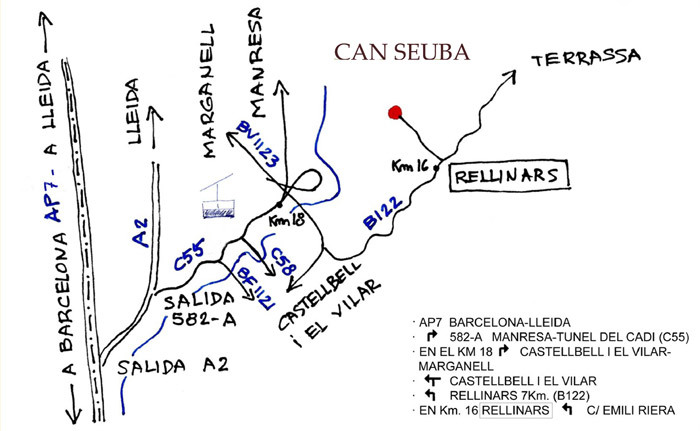 Among the top trials locations in Catalan, is the small village of Rellinars. According to a recent census, Rellinars has a population of just 738 people. This very small village in the hills above Barcelona was put on the map by Jordi Tarres back in 1987 when he won his first of 7 World Championship titles. 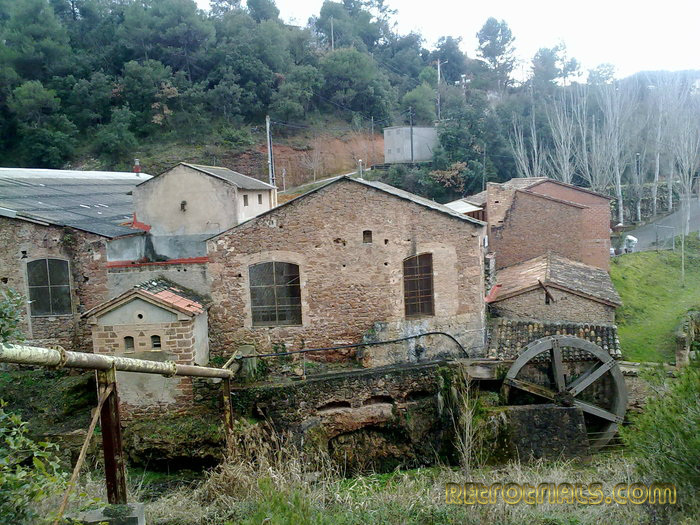 Jordi has lived in this village with his family surrounding him all of his life. Whereas some people travel and live in other areas, Jordi and the Tarres's have always returned home. Its their base and they're home. Last year (2012) I visited Jordi Tarres at his home to interview him. He was very welcoming and showed me around his house, his garages and workshops. He showed me his parts, bike and retro clothing collection. You can read all about it by clicking here. Whilst I was in Rellinars back then, I visited one of Jordi's training grounds. If you've seen his "Beta video" you will have seen his riding around on red dirt, climbing steps from a dirt track next to a black water pipe which fed water to the mill beneath. Well that was one of his favourite bike training places. The bridge that you cross to get to this area is also the bridge that Jordi would practise his balancing on. Jordi would stand on the hand rail and walk along. When I left Rellinars after this wonderful visit, I knew I would return one day..................there was so, so much more I needed to do :)! My visit back to Rellinars in 2013 was all about getting a more rounded and complete picture to the whole Team Tarres set up and if possible finding another well known practise area. I wanted to know about the background to this great rider. I wanted to know about his life before he hit the big time teams, bikes and money. I wanted to get inside and discover things I didn't know. I wanted to know everything I had never read and never been told. Perhaps I was asking for too much? Perhaps there was no more to find? I knew there would be, I just had to speak with the right people and peel off the top layer. I didn't know what I was looking for, but I sure wanted to find it.